The Penang state government will soon make its decision regarding a proposal to revise the current density guidelines to 128 units per acre in order to provide more affordable housing in the state. 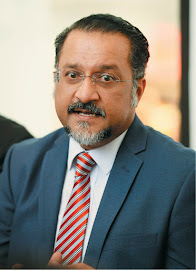 Penang State Exco for Housing and Town & Country Planning Jagdeep Singh Deo said the proposal to raise the density from the current 87 units per acre is in the final stages of discussions and an announcement will be made soon. “During a series of meetings with relevant stakeholders, it was suggested that the [87 units per acre] guideline be revised as they are facing difficulties selling large units that are deemed unaffordable (pursuant to the density guidelines),” Jagdeep said at the Penang International Property (PIP) mid-term review conference in Penang last Friday (Aug 5). The proposed revision to 128 units per acre guideline will also take into consideration the affordable housing component for developers that come under this guideline. The current 87 units per acre policy comes with the requirement that developers must ensure that 5% of their total project is priced at RM200,000; 15% is priced at RM300,000 and 5% is priced at RM400,000. Under the new proposed density of 128 units per acre, it has been proposed that 5% of the developer’s project be priced at RM200,000 and another 20% be priced at RM300,000. Meanwhile, on the performance of the current property market in Penang, Jagdeep said residential properties in Penang have shown a 15.67% quarter-to-quarter increase in property transactions from 3,110 transacted units (valued at RM1.21 billion) in 1Q2016 to 3,597 units (valued at RM1.44 billion) in 2Q2016. “Nationally, the unit price index was 227.5 for all houses in Malaysia while for Penang, it was 262.2. This higher unit price index recorded for Penang shows that the average mean housing price in Penang is still on the rise,” Jagdeep added. “These statistics prove that investing and owning a home in Penang continues to be highly desirable and this is a positive indicator for property developers in Penang,” he added. Among other issues discussed during the summit included suggestions to allow developers to pay certain contributions by way of corporate guarantee instead of a bank guarantee; and for contributions to be capped at a fixed rate instead of being based on the existing market valuation.